Many spring-flowering perennials seem fleeting, but are well worth it. 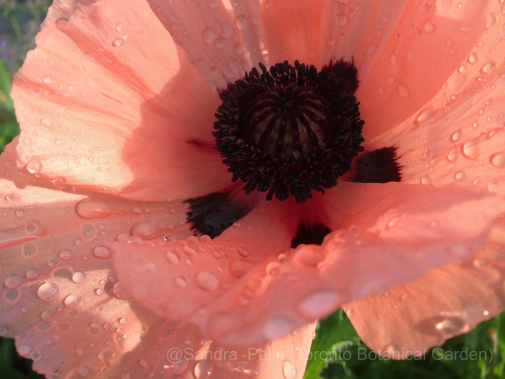 For me, Oriental poppies, such as Papaver orientale ‘Princess Victoria Louise’ (shown here) in the Entry Garden, fall into this category. 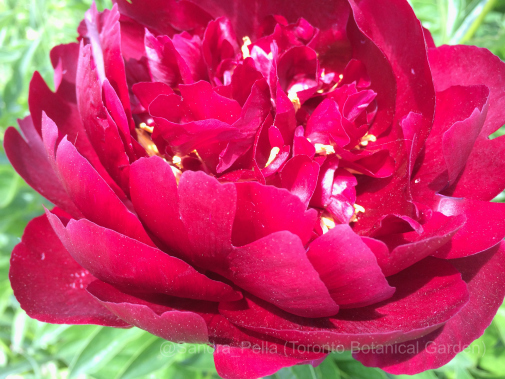 Paeonia lactiflora ‘Buckeye Belle’ (semi-double herbaceous peony) has deep maroon-red petals. Garden peonies may also seem fleeting, but how can you live without them? 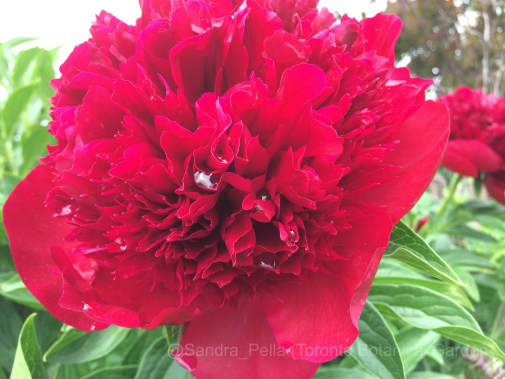 Paeonia ‘Red Charm’ (herbaceous hybrid peony) features deep-red double blooms on 91-centimetre (three-foot) stems. 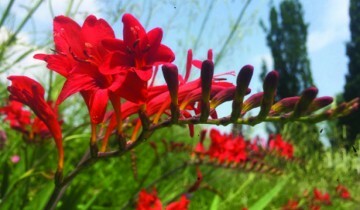 Both Red Charm and Buckeye Belle are extremely vibrant. In the Perennial Border, we’ve planted a collection of Itoh peonies. 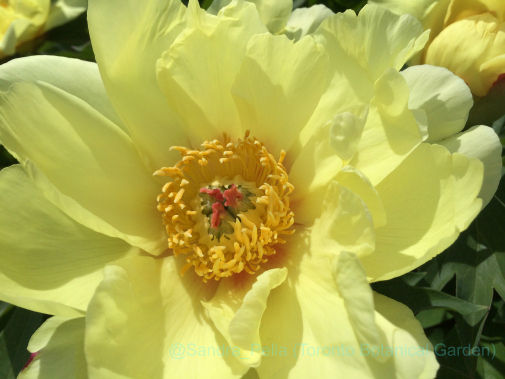 Here, Paeonia ‘Sequestered Sunshine’ has large single blooms with clear yellow petals. 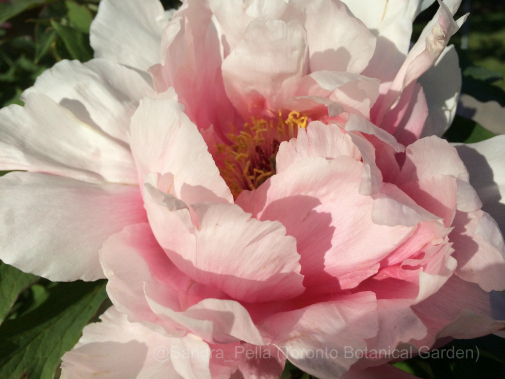 The Itoh peony is a hybrid between the herbaceous garden peony and the tree peony. Paeonia suffruticosa ‘Yoshinogawa’ (Tree peony) in the Way Finding Bed, an extension of the Perennial Border, has very large semi-double blush-pink flowers. 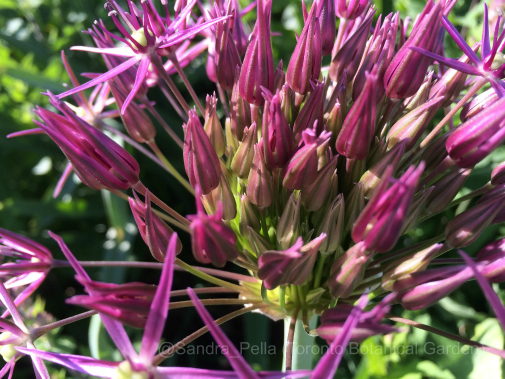 Flowering in June this year at TBG, Allium christophii (Star of Persia) consists of a large flowerhead of up to 100 individual star-shaped flowers. 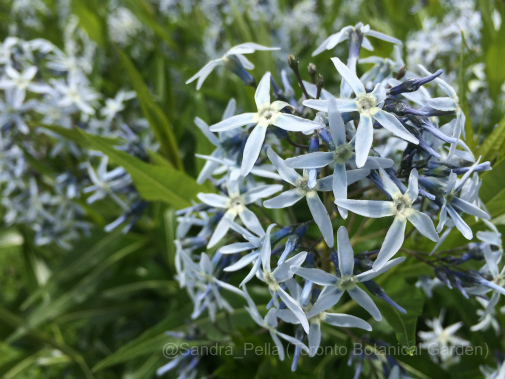 Amsonia tabernaemontana (blue star) is long-flowering with pyramidal clusters of light-blue flowers. The foliage holds up well through summer and provides great fall colour. 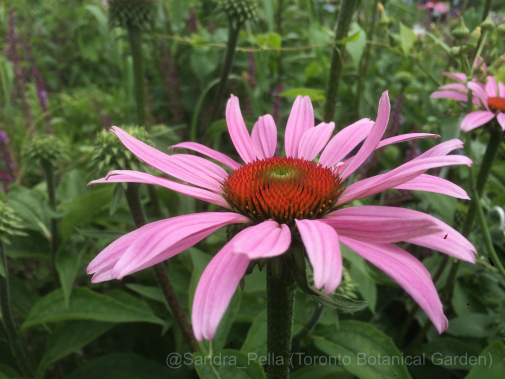 So many perennials keep the pollinators coming back for more! 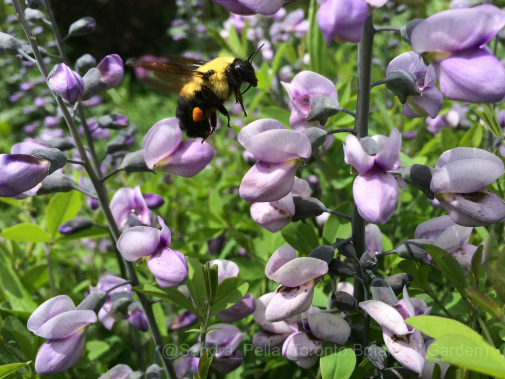 In the Entry Garden, Baptisia ‘Purple Smoke’ (false indigo) is just that kind of plant. 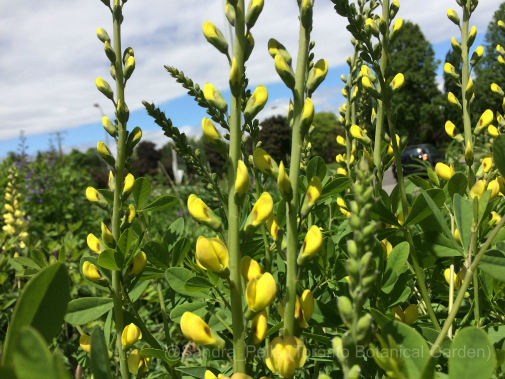 Also in the Entry Garden, Baptisia ‘Carolina Moonlight’ (false indigo) has showy yellow lupine-like flowers. I love orange! 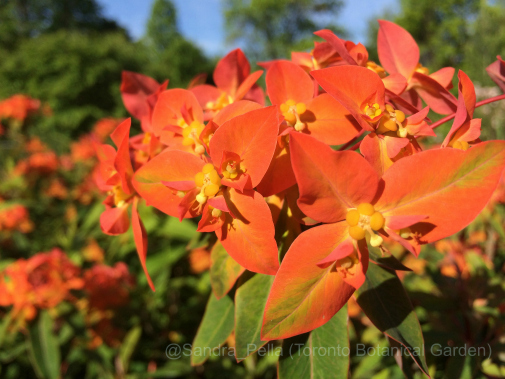 For your orange fix, head to the Perennial Border and see Euphorbia griffithii ‘Fireglow’ (Griffith’s spurge). This plant is extremely easy to grow and hardy for colder climates. 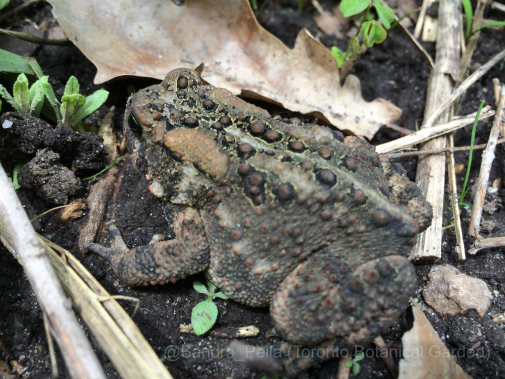 And last, but certainly not least, welcome Toad Prince! 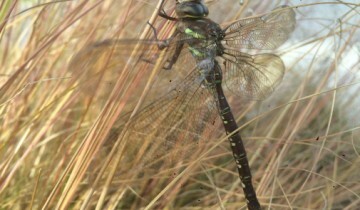 Many more will be seen this year in the garden.